Key to Great Players is moving forward! There are bad, average, good and great players and if anyone had forgotten that Lionel Messi was firmly within the brickwork of footballing greatness then his 5 goals against Bayer Leverkusen must have come as a stark reminder. Without doubt Messi is one of the, if not the, best players of all time and is rightly ranked amongst Diego Maradona, Pele and Zinedine Zidane. His ability is obvious and it would be difficult to pick a weakness in his game, however what sets him apart from the rest? More significantly, what makes a player great? Well, having the ability to produce significant moments which have an effect on the outcome of a match is a key trait to great players. They must also possess more strengths than weaknesses and to be considered a real great player they have to show their class on a consistent basis. There is however, a basic aspect of their play which is often overlooked. Many believe that a combination of all the traditional physical and technical attributes are essential in a top player but what helps them become fundamentally great is their natural instinct to play forward at all times. Players may run or pass into trouble and eventually lose the ball, but one who is able to consistently advance up the park will more often than not have a greater effect on a match than a player who plays side to side or backwards. The legendary Zinedine Zidane highlighted Messi’s insistence to look forward at every opportunity as a key part of what makes him so good. Whether Messi takes the ball from deep or is running on to a through ball his first touch always goes forward and that allows him to accelerate, dip and weave his way past defenders with much more ease. Momentum has much to do with the Argentine’s play and the pace in which he is able to terrorise defences make him such a huge threat. Zidane, Maradona, Cruyff and now Xavi all demonstrate the ability to play forward, immediately pressurising opposition defences. It is understandable that players like Xavi Alonso, Sergio Busquets and Andrea Pirlo are needed to link defence to attack so understandably, much of their passing is done from side to side or backwards. Their approach has a different purpose and they are immense in their own way but a sign of the true great players is their positive attacking attitude. If you look at every single goal Messi scored against Leverkusen, he moves forward with his first touch and continues forward before reaching the goal. This is what makes him and so many other players great. An individual can be blessed with fierce shooting, pacey dribbling and assured passing but if they don’t demonstrate a hunger and drive to attack the goal, these attributes become redundant. Patience is a key part of football but there is no substitute for heading straight to goal. Messi has shown that to be great you have to move forward. Only then can a player show the true extent of his greatness. Give me a follow on twitter to get involved in some more football chat – @beanroll. Thanks for reading! Posted in Uncategorized and tagged attacking, barcelona, bayer leverkusen, best, dribbling, ever, Football, footballers, forward, great, history, instinct, maradona, messi, midfielder., move, moving, pass, pele, players., positive, shooting, soccer. Bookmark the permalink. Following Fabio Capello’s resignation on Wednesday as England manager, the predictable questions sprang to mind: Who would succeed the Italian and what effect would this have on England’s Euro 2012 campaign? 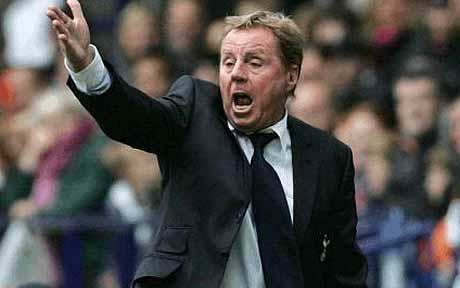 In answering the first question, it seems that the majority would prefer Harry Redknapp as his successor. The fact there has been a longing for an Englishman to be at the helm for the last 3 years coupled with the Tottenham manager’s magnificent record at White Hart Lane, make him the people’s choice. England’s success in Euro 2012 depends on the players who are available as well as the English FA appointing the man best suited to the job, regardless of his nationality. However, will the FA be forced to consider an Englishman as a pre-requisite in their search for a new manager or will they opt for the best possible option as previously mentioned? Realistically they will opt for the former, mainly to appease the supporters before an important international tournament like Euro 2012. This though, begs a question which applies to the footballing world in general – Is a home-grown manager better suited to leading his nation than a foreign manager? There are cases for both. For England, Fabio Capello is statistically their best manager going by his win ratio – which is at 66% over 42 games. However, the manager only led the England team at one international tournament where they failed to make it to the quarter finals. Undoubtedly Capello failed to deal with off-field problems as well as an experienced manager should have, letting captaincy issues force him into an early exit. The manager did however; qualify for two major tournaments while ushering in a new generation of English youth players creating a realistic sense of optimism before the Euro Championships in the summer. There have been examples of foreign managers succeeding with national sides out with their native country. South Korea in 2002 managed to reach the World Cup semi-finals under Guus Hiddink, with the Dutchman also leading Australia to their first World Cup in 32 years and Russia to the semi-finals in Euro 2008. The similarly successful German national Otto Rehhagel led Greece to their greatest footballing success in 2004 when they lifted the European Championship in a surprise victory. Greece defeated Portugal in the final of that tournament, a side led by Brazilian Luiz Felipe Scolari. This was Portugal’s only appearance in a major international final – the best performance in their history. All were relative successes in their own right and led by a foreign manager, the countries achieved unparalleled results in their recent history. Despite this success though, there is more reason to believe that foreign managers aren’t the way forward for international sides. As mentioned, Capello failed to achieve any tangible success with England similar to the performance of Sven-Goran Eriksson years before him. England’s greatest ever achievement was under the leadership of Alf Ramsay, when they won the 1966 World Cup in front of their own home support. Furthermore, no teams have reached the final of any World Cup with a foreign manager since. Vicente Del Bosque most recently led Spain to the World Cup in 2010, with Luis Aragones managing his countrymen to the 2008 Euro Championships. Otto Rehhagel’s Euro 2004 win for Greece was the only exception – of a national team winning a major international tournament without a countryman leading the team – in the last 30 years. These examples of triumph under native managers, lead to the conclusion that a foreign coach is not necessarily the best option when considering who the Football Association want to lead their team. Looking to the future – in England’s case – Wayne Rooney highlighted Harry Redknapp as his choice to lead the national side. The striker stating ‘Got to be English to replace him (Capello), Harry Redknapp for me’. There is no conclusive formula to implement when the search begins for a new international manager. Ultimately, it should come down to who is the best available option but there is plenty of evidence to show that employing a man born in the same country as the players will reap the greatest rewards. Culturally, the manager will understand the players as well as being able to immediately express his philosophy and ideas to the side in their own language. Although a definitive rule would be unrealistic to expect, Football Associations should begin to move forward with the rational objective of producing home-grown managers who have the ability to lead their national team at major international tournaments. A stadium full of English fans supporting a team of English players led by an English manager is surely the recipe for success, and the English FA – as well as any other FA looking to appoint a new manager – should make use of said recipe if they are to achieve anything as a football nation. What’s your opinion? Get in touch through twitter – @beanroll or in the comment box below. Thanks for reading! Posted in Uncategorized and tagged 2008, 2010, 2012, capello, captain, captaincy, coach, country, england, English, euro, FA, Football, greece, hiddink, international, manage, manager, national team, native, poland, rational, redknapp, rehhagel, Rooney, soccer, south korea, summer, team, terry, ukraine, world cup. Bookmark the permalink. A fixture which name translates as ‘The Classic’, yet now sadly lacks so much of the class it is renowned for. It is possibly – if not already – the most anticipated match in the footballing calendar with the underlying tension, hatred and jealousy felt between both sides unlike any other. Add to that the marvellous individual and team talent on show and Spain boasts one of the greatest rivalries on the planet. A spectacle to rival the Superbowl, the World Cup Final, Champions League final and any other ‘big’ game worth mentioning. The one thing which has struck me most through these two rounds of ‘El Classico’ is the disgusting behaviour of both sides. It has been petty, nasty, bordering on childlike and has more than taken away from the mesmerising – sometimes fantastical – football which has been played. Spectators regardless of preference, sat back anticipating some of the finest football the world is ever likely to see. After all, with Messi, Ronaldo, Xavi, Iniesta and Ozil all involved, a salivating pallet is unavoidable. However, despite moments of individual brilliance – Messi’s solo run and assist for Pedro’s goal plus Alves fine strike – the ugly side of the derby reared its head too many times, not just in the 2nd leg – where the match finished 2-2 – but in the 1st as well. 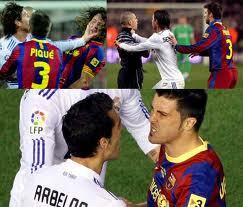 Barcelona and Real Madrid have always had an intensely contested rivalry between one another. There have been times when the football has dominated – like Ronaldinho’s famous performance at the Bernabeu in 2005 when his efforts received a standing ovation from the home fans. In other cases, the rivalry has turned disgusting – the infamous moment when a pigs head was thrown at Madrid’s Luis Figo when he returned to the Camp Nou immediately springs to mind. Now, it has come full circle. Combine the emergence of arguably the best football team ever in Guardiola’s Barcelona side, with the appointment of the notoriously controversial Jose Mourinho as Real boss and we were always going to see fireworks. Barcelona have dominated domestically and on the European stage for the past 6 years winning the Champions League 3 times. Xavi Hernandez, Andres Iniesta and Lionel Messi have cemented themselves as the most lethal triumvirate in world football, with the latter possibly the greatest player to have played the game. Real on the other hand have won a mere 2 trophies in the past 6 years, and in comparison to their great rivals, have struggled to create a brand of football anywhere near the level of Barcelona. Due to this, Jose Mourinho was hired last summer and in his maiden season he closed the gap, winning a Copa Del Rey title at the hands of Barca but still being pipped to the La Liga and Champions League crowns. Mourinho is without doubt a world class coach and man manager who was brought in to lead Real Madrid’s grand plans to return to the top of Spanish and European football. He has success wherever he has gone, unfortunately though that has not quite extended to Real Madrid as of yet. Finishing second in the League, as well as being knocked out of the Champions League by Barca, Madrid’s rivals have been a source of frustration for Mourinho. The ridiculous antics shown by Madrid’s players were not unlike the Portuguese managers previous teams, but it is the intent on stifling Barca which is the biggest frustration. After all they have some of the most lethal attacking weapons in world football: Ronaldo, Ozil, Higuain, Kaka and Alonso can all provide goals and assists with their fast paced, thrusting counter attacks which are put to such great effect out with the El Classico. Madrid though, are not alone in their trivial displays! Barcelona may not over exert any physical presence they have, but the way in which they maliciously badger the referee to produce cards for fouls is saddening to watch. Regardless of whether the fouls deserve punishment or not, they make the referee’s job harder in an already demanding situation. A prime example of this was a tackle on Lionel Messi from Lassana Diarra late in the first half. After the referee rightly blowing for a foul, the Barca players swiftly proceeded to surround the referee waving imaginary cards, gesturing for a yellow card which would send Diarra off. It is understandable that players should claim for fouls when they are deserved, but deliberately pressurising the referee in to altering his instant reaction to a foul is not needed. This incident sparked a quasi-riot involving nearly all the players – a ridiculous outcome to an honest tackle which Diarra, more significantly, did not deny was a foul. Sergio Ramos displayed a similar gesture when kicking the ball of Messi a yard away from where he was taking a free kick so both sides are just as culpable for the bad behaviour. This all follows on from the malicious stamp Pepe had on Messi last week, which resulted in the centre back publicly apologising for something which could have easily been avoided in the first place. What strikes most about the El Classico fixture now though, is that Barcelona and Real Madrid have an intense hatred which is worsening by the game. Barcelona are quite rightly emerging victorious with their unstoppable play, leading to terrible frustration for Mourinho and his team. Madrid’s direct ploy to get in the face of Barcelona is wrong, and for most fans and pundits there is a craving for Mourinho to simply attack in the El Classico. As mentioned, they are the side most suitably equipped to play Barcelona at their own game, and win. The match is now becoming renowned for the scandal rather than the spectacular spectacle it should be. Posted in Uncategorized and tagged alonso, barcelona, benzema, blog, busquets, camp nou, copa del rey, derby, diarra, el Classico, European, Football, higuain, Iniesta, kaka, la liga, messi, mourinho, ozil, passing, pepe, pique, Real Madrid, referees., Ronaldo, Sanchez, slick, soccer, Spain, Spanish, world, xavi. Bookmark the permalink. As always, the start of the new football year provides us all with countless top player lists from all facets of the media. Lionel Messi was deservedly crowned the best player in the world, after winning the Ballon d’or in early January. This award being the crème de la crème in individual footballing accolades, but among all these compilations there is always debate on who deserves their place. We all say it, ‘He’s overrated!’ or ‘He isn’t that good!’, so why not give my opinion on who I feel this applies to most? It is defined as overestimating the merits of someone we rate too highly and this certainly applies to a whole host of players. Again the term ‘overrated’ is all based on a person’s opinion, as some people may see players differently to how other people perceive them. Recently for example, I wrote an article looking at the effect Darren Fletchers’ absence would have on both Man Utd and Scotland. This article divided opinion, as I rated Fletcher as one of the best midfielders in the world and a reader disagreed, citing Eric Djemba Djemba as a better Man Utd midfielder than the Scotsman. Obviously this reader was making an attempt at humour, but he used Djemba Djemba as an extreme example to show how little he thought of Darren Fletcher. Widely regarded as one of the UK’s brightest talents and half of the shoulders which carry the weight of Wales’ long term footballing ambitions, Ramsey is seen as a world class talent across the football world. 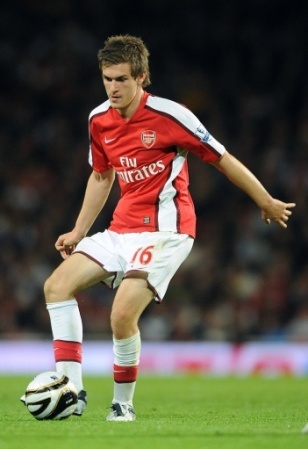 Admittedly I am no Arsene Wenger and the legendary French manager seen enough potential in Ramsey to sign him for £4.8million at the age of 17. However, I disagree with how high a regard the Welshman is held. Since joining Arsenal he has been unable to cement a place in first team squad despite now being 21. In comparison, at the same age Cesc Fabregas was the midfield lynchpin in an Arsenal side blessed with an array of midfield options. He has made 87 appearances in two and a half years at the Emirates, scoring 8 goals and giving 11 assists, a particularly poor statistic for a creative midfield player. Arsenal’s away defeat to Swansea on the 15th January highlighted the Welshman’s deficiencies and also showed that when faced with a similarly talented player like Joe Allen – also a Wales international – Ramsey is unable to produce. The 21 year old gave away a penalty and also surrendered possession to Allen in the build up to Swansea’s 2nd goal on the way to that defeat. Quite frankly, Ramsey is not a player of Arsenal calibre and I would be unsurprised if he makes a similar move to Nicklas Bendtner in a quest for a sustained run of first team football. Manchester United’s Nani is undoubtedly blessed with magnificent talent. Quick feet, electric pace, exquisite technique in his crossing, first touch and shooting, but also blessed with an inconsistency to his game which is extremely frustrating. Upon his arrival at Old Trafford, the former Sporting player was heralded as Cristiano Ronaldo’s successor and now after nearly 3 years without Ronaldo, he is no closer to filling his boots. He has demonstrated his quality sparingly, especially in significant games for Utd. A lot of the time, he has either been injured, off form or not interested and his team suffer as a result of it. Nani certainly has the potential, but so far he is not realising it at the point you would expect him to. At 25, there should be mass worry and surprise when he is not included in a Utd squad, similar to when Rooney or Vidic are absent, however this is not the case for the Portuguese winger. Right now I would not class him as one of the best wide players in the world, and until he wakes up and has a sustained run of good form in the Utd squad he won’t be anywhere near the best! I have used the term overrated to describe Luiz ever since the first time I seen the Brazil defender come up against a top class striker, which on that day was Wayne Rooney. Rooney and Utd destroyed Luiz in his first game in the Champions League for Chelsea, and I was quite dumbfounded when he was given plaudits for his performance. That night his game was littered with silly fouls, as well as slack passing. All from a defender who had arrived on a big transfer fee and an equally big reputation. Potential is one thing Luiz doesn’t have. He is 24 now and I feel he should be at a better level than he shows at the moment. Unless he eradicates the petty fouling, lack of discipline and bomb scare defending he will struggle to play in front of a jailed Titus Bramble let alone Gary Cahill or an ageing John Terry. There are a few others who have been too poor to mention. Gareth Barry is one who consistently makes England squads, yet couldn’t lace Scott Parker’s boots. In Europe, I struggle to see the fascination with Ibrahimovic, a player who’s unsavoury and childish antics on the field always tend to overshadow his play. Again, he is undoubtedly talented but at Barcelona he failed miserably and had to return to what he knew in Italy. He is definitely not one of the best strikers in the world. Per Mertesacker is another who has been unbelievably unconvincing since signing for Arsenal this season. I had fears that his lack of pace would be an area that opposing teams would target and this was shown against Swansea lately when Danny Graham strolled away from him before hitting their winner. I am in no way doubting that any of these players have ability, I just don’t think they have enough. I could be proven wrong and they go on to have outstanding careers for their club, but I won’t hold my breath! Get in touch through twitter @beanroll with any views. Thanks. Posted in Uncategorized and tagged footballing blog europe scotland fletcher djemba djemba midfielder striker defender, Overrated aaron ramsey nani david luiz ibrahimovic zlatan players football soccer england premier league chelsea arsenal mertesacker barry rated over players top messi ballon d'or. Bookmark the permalink. Upon the League rejecting Sky Sports £45m television deal to broadcast SPL matches from 2002 onwards, Scottish football effectively changed as we’d known it! A fleeting relationship with Setanta Sports did nothing but delay the inevitable outcome of our league becoming one of the poorest in World football. Some may ask ‘Has it not always been poor though?’, and the answer is in equivocal ‘No!’, as the Scottish League has produced some of the greatest players and teams to grace the game. In an SPL office in 2002 when Lex Gold and his trusty associates rejected a lucrative yet reliable deal from Sky in the hope another ‘more substantial’ offer would come from elsewhere. So, with no Sky there effectively would be no football, as the standard of play has declined so dramatically since the 2002/03 season. The Old Firm for example boasted talent like Ronald De Boer, Barry Ferguson, Henrik Larsson and John Hartson among many others. Now, no disrespect to the top players at the moment, but outside Nikica Jelavic, Steven Naismith, Gary Hooper and Emilio Izaguirre, there is a real lack of quality in depth. It isn’t just the case for the Old Firm where the standard of player has dropped. Where once teams like Hearts, Hibs, Motherwell and Dundee Utd could all attract high quality players, they now find themselves struggling to match Conference and League 2 sides in England in terms of wages and transfer fees’. Like most business’, money talks and without a steady, reliable source of income from TV sponsorship the SPL has been unable to develop as it should have. The English Premier League is the prime example of TV money, from Sky more significantly, allowing their game to reach a whole new level, leading the League to become the most-watched and equally attractive game in world football. Where England has prospered, Scotland has suffered and this has affected our attendances, standard of player, how we are perceived worldwide, and our National team performances. 10 years ago (while sponsored by Sky), the SPL’s average attendance was 16,000. 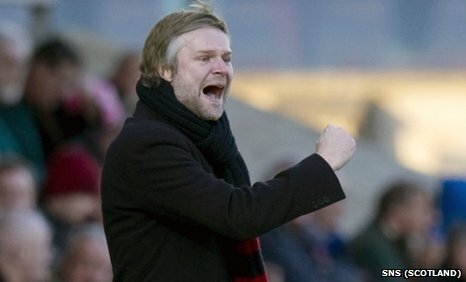 Now, a decade on it has sunk to a mere 13,500, as well as the record low being set in 2010/11 of 2,019 between Hamilton Accies and Inverness. Quite simply, full stadiums make for better atmospheres, and a combination of better quality on the park as well as affordable ticket prices mean attendances should improve. Two years ago the SPL returned to Sky viewers screens after an 8 year hiatus, a turnaround of events which seemed unlikely when both organisations parted ways 10 years ago. The deal made in 2010 was worth £13m to each club per season, but is still comparably less than what they could have been earning had the SPL continued to improve from the early 2000s onwards. Well, I propose first of all, the League set-up being changed completely. At the moment, teams play each other 4 times, culminating in 33 matches before the league splits in to a bottom and top 6. One team win the Championship and qualify for the Champions League Play-Off, and the 2nd and 3rd placed teams qualify for the Europa League, with the Scottish Cup winners alongside them. One team is relegated…are you bored yet? Frankly, the League format just isn’t attractive enough and as I mentioned, this is one of the contributing factors to our terrible decline. The need to expand the SPL is evident. Forget any proposals for an SPL 1 & 2, there is a real need to increase the number of clubs in the league to either 16 or 18 teams and with that the SPL will generate a new vibrancy and excitement. I’m sure even the most avid St.Mirren fan would agree that there is only so many times they could watch their team play against Inverness or St.Johnstone, and to subject most fans to that at least 4 times a season makes for a bored, unmotivated and uninspired support. This paves the way for well-supported, capable teams like Partick Thistle, Falkirk, Dundee and Hamilton to play in the top division again. Established clubs like this would contribute so much in terms of attendances, performances, young talent and also add to a League which has very few ‘Derby’ games. The monotony which comes from clubs playing against each other 4 times a season would be lost, with less games between more teams. Also, an introduction of play-offs could see two teams be relegated from the League each season. This would offer more of an incentive for clubs in the First Division to make a conscientious effort to make it to the SPL. Without doubt the League has potential, but sadly it just isn’t realising that potential under the current format. Henry McLeish underlined the problems our game faces but did not offer many realistic solutions in how to fix it. Scottish football was once on a similar playing field to our competitors south of the border, and it is about time radical change was made to bridge the ever-growing gap between our League and the rest of Europe. Across the past 5 years, Darren Fletcher has been one of the best midfield players in the English Premier League and, prior to the diagnosis of his illness, arguably amongst the most influential in the world as part of Manchester United’s glorious league and European teams. Although not blessed with the patience, passing range and skill of Xavi, Iniesta or Fabregas, the Scotland midfielder possesses a work rate, technique and ability to break up play which has always been a pre-requisite in counter attacking sides. Fletcher seeks to break up play and then passes simply and effectively, having a huge influence on the Manchester United style of play; allowing players like Wayne Rooney, Nani and Ryan Giggs to break with devastating effect. In the wake of the announcement that he has taken an ‘extended break’ from football as he recovers from ulcerative colitis, Manchester United and Scotland are posed with the challenge of finding a replacement. It is not an easy task for Sir Alex Ferguson, with the many millions of pounds to spend on world class players. It is an even more difficult challenge for Scotland Manager Craig Levein; picking from the shallow pool of Scottish players available to him, and an even smaller group of effective defensive midfielders. So who can come in to replace Fletcher? To put it bluntly, no-one! Scotland has no direct replacement for an influential, industrial and inspirational midfielder who has played at the very highest level. Despite the emergence and form of Adam, Naismith, Forrest and Bannan, it is Fletcher’s Makelele-like ability to shield and provide the solid foundation for teams to counter. Fletcher may not have regularly replicated his Manchester United form with Scotland, but when he was on top form, demonstrated in the games against Spain and the Czech Republic, Scotland found a rhythm that has been lacking for the past 14 years. If he returns, then Scotland’s footballing future will look brighter again. If he doesn’t then we can think about Qatar or Russia, but no Fletcher means no chance of any Scottish samba in 2014!